I love this book! 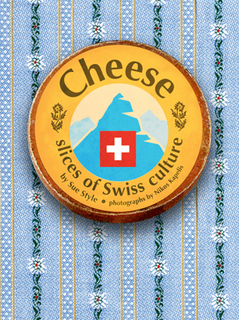 I am a Swiss cheese sommelier and while studying for my sommelier test I’ve used your book many times as reference. I’m so amazed at your knowledge, the ability to translate all the local experience you gathered in Switzerland’s different cantons into a digestible and user-friendly information. Really loved the stories and pictures of all the cheese mongers in the different mountains and how you’ve captured them even digging down all the way into the big copper pot to collect the curds. I thought your photo in L’Etivaz about to ascend the telepherique was very sweet 🙂 Love love love your book! I am also giving Korean cooking classes, so if you ever visit Zurich please look me up.